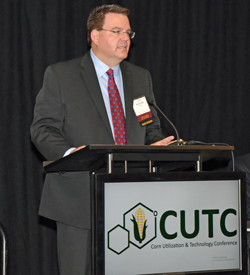 In light of a lot of negativism directed toward farming today the opening speakers for the 2016 Corn Utilization Technology Conference (CUTC) were very optimistic in their outlook. 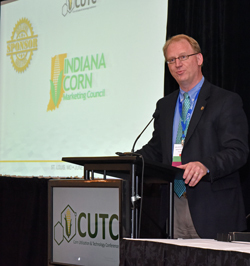 Welcoming us to the 10th CUTC was Chris Novak, CEO, National Corn Growers Association. New technologies have allowed corn farmers to produce so much corn that a surplus was created. That has made a need for new markets for the commodity. He points to NCGA’s new strategic plan which has a focus on building corn demand. 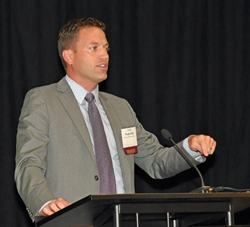 Our next speaker was Wade Ellis, Vice President and General Manager of Milling, Bunge North America. Wade talked about the changes in the corn market of late have pushed his company to look at alternative inputs but at the same time learn from that experience to find new ways to utilize and re-build their corn business.